Happy Saturday everyone! Who doesn't crave comfort food every once in a while? Wouldn't it be nice if there was a healthier alternative? 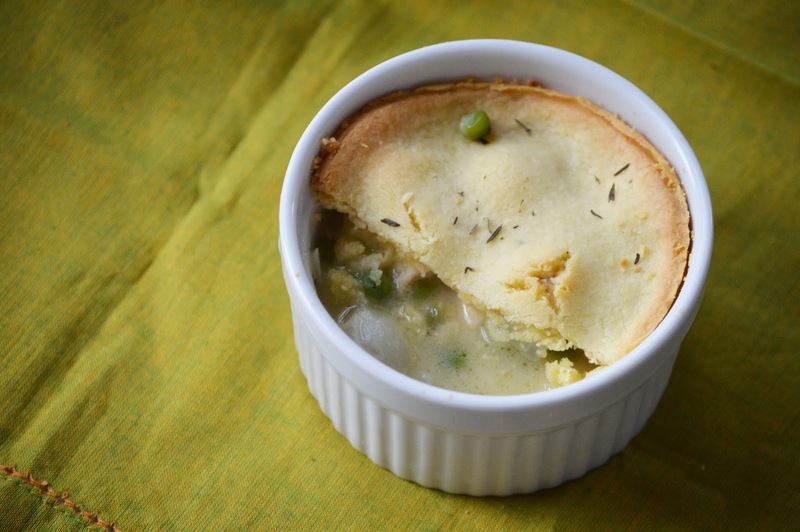 My chicken pot pie is perfect on a cold winter night. I love reheating one of these and cuddling up with my blanket and enjoying. 1. In a food processor, combine all ingredients and pulse until mixture forms a dough ball. 2. Form dough into a large ball and cut ball in half. Store in the refrigerator while you are making the filling. 1. In a medium saucepan, heat the chicken stock until warm. 2. In a large saucepan, melt butter entirely. Add onions and cook until translucent. Add salt. 3. Add arrowroot flour and stir constantly for about 2-3 minutes. 4. Add in warmed chicken stock to the large saucepan and stir until very thick, about 1-2 minutes. 5. Finally, add in cubed chicken and vegetables. Leave on stove until crust is rolled out. 1. Roll out dough between 2 pieces of parchment paper until dough is about 1/4" thick. 2. 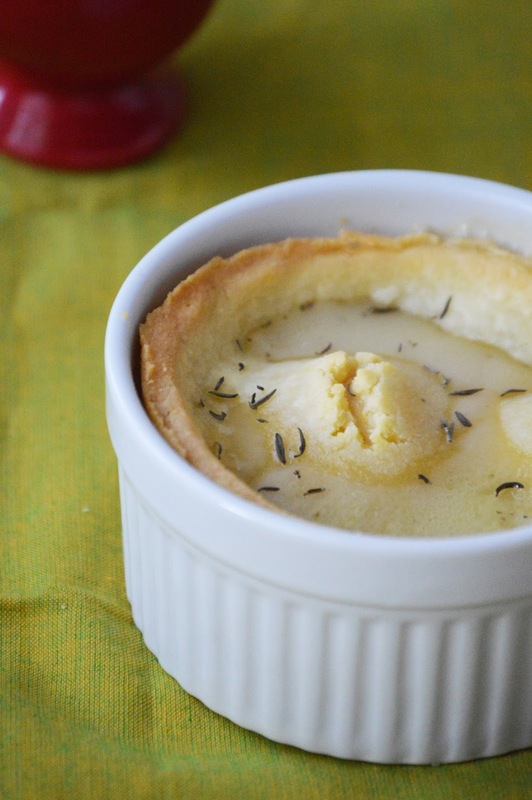 Score dough by using the open side of the ramekin and cut around the ramekin with a very sharp knife. Set 6 circles of dough aside on a piece of parchment paper. You may want to use a flat spatula covered in arrowroot flour to lift each piece up. 3. Add filling 80% of the way up of each ramekin. 4. Add dough circles on top of each ramekin, make slits if desired. 5. Bake at 350 for 15 minutes, then turn the heat up to 425 and bake an additional 10 minutes until golden brown. 6. Let cool for 15 minutes and then enjoy!